On the face of it, this seems to be a simple case of sexism. In claiming that women should not be paid as much, Simon appears to be persecuting the female players purely based on their gender. However, if we look into Simon’s actual comments in a little more detail than the majority of the attention-seeking press have done, a different, and far more complex, story emerges. At this point, I must admit that I agree with Gilles Simon on the overall concept that, at this moment in time, male tennis players should be paid more than the female tennis players. However, this is not based on any concept of gender, as I hope I shall demonstrate. However, the idea that men should be paid more because they spend more time on the court than the women is not entirely correct. Many arguments are based around the fact that, at the Grand Slams, the men play in best-of-five set matches, while the ladies play best-of-three set matches. Thus, the reasoning follows that men play more tennis and, hence, should be paid more. If you worked a 40 hour week, and your colleague worked a 30 hour week, performing exactly the same job as you, you would rightly expect to be paid more. The problem is that tennis players are not paid on an ‘hourly’ rate. Rather they are paid on a per-match basis. If you win two matches, you receive the same amount as any other player that has won two matches. Even if you have won your two matches in straight-sets and have spent barely three hours on court, while another player has come through two five-set epics and has spent eight hours on court, you will both receive the same amount. This seems fair. Otherwise, you would be penalising players for playing well and progressing comfortably. If a per-game or per-set pay rate was implemented, there would be benefits in agreeing to simply make the match last longer at the expense of valid competition. Thus, I don’t feel that this is really a solid argument that the women should be paid less than the men. “She’s way hotter than he is, so more people will watch Maria.” – Serena Williams. However, none of these comments have actually responded to the subject in question. 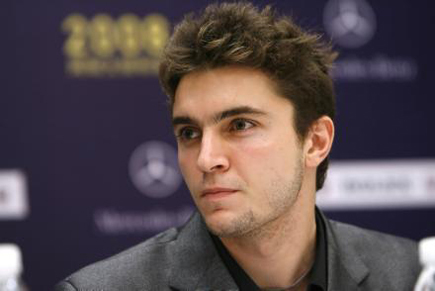 Rather, all the women have simply resorted to petty attacks on Gilles Simon as an individual. Of course there are more people that watch Maria Sharapova’s matches than there are that watch those of Gilles Simon. Maria Sharapova is a multiple Grand Slam winner, the former world number one and the celebrity glamour girl of ladies tennis. Gilles Simon is a regular top-twenty player. And the less said about Sloane Stephens’ comment, the better really. Tennis is virtually unique among all the major sports in having equality of prize money between the men and the ladies. It is also virtually unique in combining the men and the women’s major tournaments into one single event. This is arguably one of the biggest reasons for the distortion of prize money between the two tours. As a comparison, the major men’s championships in golf generate significantly higher revenue than the equivalent major women’s championships. As a result, there is significantly higher prize money for the men compared with the women. It is simple economics – if you generate more revenue, there is greater scope for prize money. However, the equality of prize money in tennis, partly due to the combined tournaments skews the levels in the women’s’ favour. 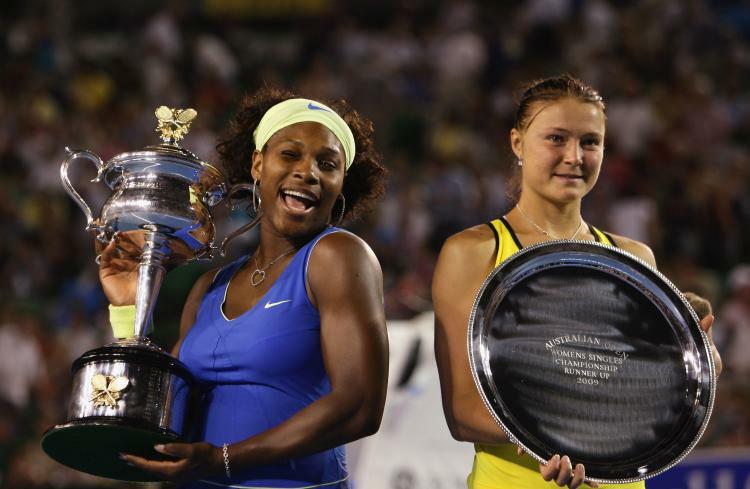 In 2011, seven of the ten highest paid female athletes on the planet are tennis players. In contrast, Roger Federer is the only tennis player in the top ten male athletes. Returning to the comparison with golf, Janko Tipsarevic, the eighth ranked player in the world earned $895k in 2011. This puts him below all of the top sixty golfers in the PGA money list in terms of earning. Compared with other similar sports, there is a strong argument that male tennis players are unpaid in terms of prize money. It was the next interview, when Gilles Simon attempted to back-up his position, where some of the more pertinent points came out. “If women’s tennis is more interesting than men’s tennis, if the price of the women’s final is higher than the price of the men’s final, they will deserve to win more money than us. As he states, if people are willing to pay more to watch women’s tennis than men’s tennis, then the women should be paid more than the men. On the natural flip side of that, if people are willing to pay more to watch men’s tennis than women’s tennis, the men should naturally be paid more. So, to see whether Simon has a point, we should look at the figures for the price of tickets for men’s and women’s finals. Taking the 2009 Australian Open as an example, we had a men’s final between the top two seeds, Rafael Nadal and Roger Federer, and a women’s final between the second seed, Serena Williams, and the third seed, Dinara Safina. For the women’s final, tickets cost $289, compared with $339 for the men’s final. For the women’s final, there were no fewer than 4,000 empty seats, while the men’s final was a complete sell-out. Now, let us look at Wimbledon. The resale of debentures is an excellent method of comparing the relative values that people are willing to place on watching each match. We shall ignore the 2012 competition, given that the presence of Andy Murray in the final significantly distorted the figures in favour of the men, not because it was the men, rather that he is British. In 2011, the women’s final saw Petra Kvitova face Maria Sharapova, while the men’s final saw what was to be the first in a series of four successive Grand Slam finals between Novak Djokovic and Rafael Nadal. For the women’s final, debenture tickets were selling at £650. For the men’s final, debenture tickets were selling at £2,900. This would appear to show that there was far greater demand to view the men’s match, rather than the women’s match. So, the crux of the debate really comes down to whether there is a greater demand to watch men’s tennis than women’s tennis. There is a strong argument that, at the current moment, the women’s tour is piggybacking on the success of the men’s tour. At men’s only events, almost every revenue stream is higher than at women’s only events. There are significantly more spectators at the men’s events than there are at the women’s events. To ensure that there is no bias due to location, if we compare the tournaments where men’s and women’s events are held, but in separate weeks, the same outcome is present. Similarly, the TV rights and overall coverage for men’s tournaments are more expensive and extensive than for women’s tournaments, and the sponsorship shows the same trend. Overall, there is more interest in men’s tournaments than there is in women’s tournaments in terms of monetary amounts. If Wimbledon separated out the men’s tournament and the women’s tournament into completely separate competitions, it would be highly unlikely that the women’s tournament would generate sufficient revenue to cover the prize money that is currently on offer. On the flip side, based on scaling up similar figures at other men’s only tournaments, the men’s tournament would almost certainly be able to cover the cost. It is this argument that is at the heart of this debate. Supporters of equal pay trot out the lines about how this proposal would be discriminating against women and how this would not be equal. Returning to Gilles Simon’s last words in his second press conference, “If women’s tennis is more interesting than men’s tennis, if the price of the women’s final is higher than the price of the men’s final, they will deserve to win more money than us.” He is not saying that men should be paid higher prize money because they are men. He is arguing that whoever generates the greatest revenue as an overall tour should have the right to pay greater prize money. If, as it arguably was at the turn of the century, the WTA tour generates more interest and revenue than the ATP tour, the exact same argument would be used, including by myself, to claim that the women should be paid more than the men. I am not encouraging any discrimination by gender, rather that a sense of equality should prevail. Despite all the valid arguments, equal prize money will endure. In life, people do not get what they deserve, they get what they negotiate. 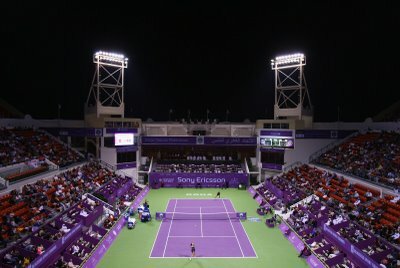 The people in charge of the WTA tour have done excellently in negotiating this equal pay package. There is now no way to change this. Realistically, the only way it could not would be if the WTA and the ATP split to become completely separate tours, with all of the joint Masters Series tournaments and Grand Slam tournaments being held separately. However, this will never happen. Nice information, many thanks to the author. It is incomprehensible to me now, but in general the usefulness and significance is overwhelming.